Miss Clemmie is a Accessories Design Studio based in Northamptonshire England. With a focus on designing modern brides something a little bit 'heirloom' to complete their wedding day look, from Statement Headdresses, combs and hairpins to stylish Jewellery ... all designed and made by me Clemmie. Since my first collection was launched in 2015 I've been lucky enough to have been featured in the best bridal publications and Blogs and stocked by the most beautiful bridal boutiques in the uk. 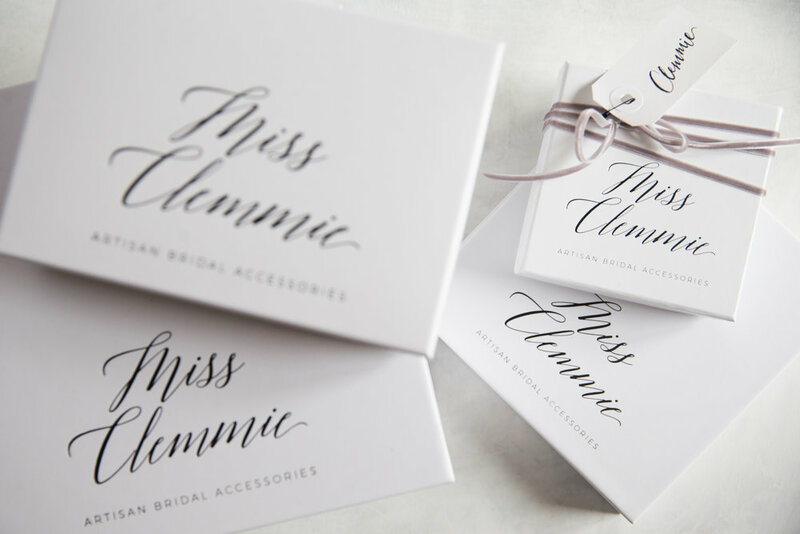 Miss Clemmie Brides love elegant details, and usually are looking for an accessory to compliment their own individual style on their big day. 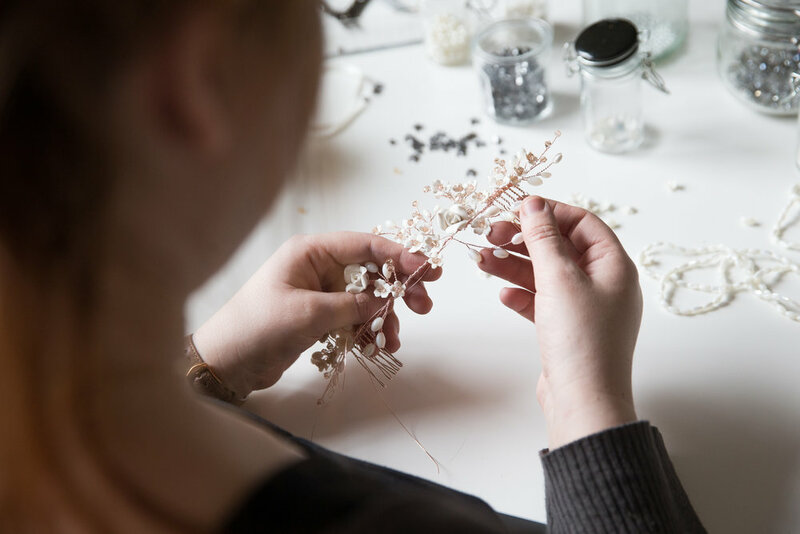 I love to take inspiration from beautiful antique jewellery design, bohemian details, and a little bit of whimsy, I use traditional millinery and jewellery making techniques, a lot of patience and attention to detail. Each order is made with elements of vintage and antique heirlooms. giving them a new part to play in someone’s love story.